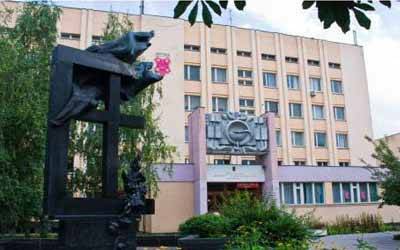 Ukrainian Medical Dental Academy is known as Poltava Ukrainian Medical And Dental Academy (or UMSA). It is recognized as the best English Medical Studies, ranked no. #1 European Standard Medical Educational University In UKRAINE. Poltava Ukrainian Medical Dental Academy provides best Medical Education in English – one of the old higher education institutions for the training of doctors, including dentists. The Institute started its services in 1921 with the odontological help of faculty of Kharkiv Medical Academy. In 1967, the university moved to the city of Poltava. Both the morning (regular) and part-time training in the afternoon (evening classes) are provided by the Ukrainian Medical Dental Academy. From the beginning of March, Ukrainian Medical Dental Academystarts taking applications from. Students can send the documents to the Ukrainian Medical Dental Academy by email or by fax. Money transfer of all the necessary fees can be done by bank transfer or by western Union. After receiving all the documents and payment. University will send you the admission letter, invitation letter, and visa support document by courier. The documents mentioned above are meant only for guidance persistence and does not compose any form of guarantee. All applications will be evaluated on an individualized basis. A good command of English language will be needed by students to finish a course successfully.Ukrainian Medical Dental Academycan help you to fulfil your dreams of becoming a doctor.